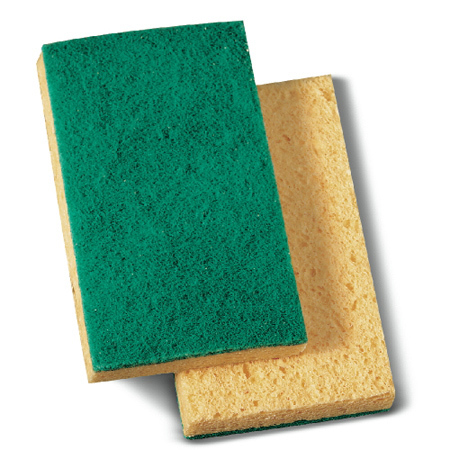 Absorbent cellulose sponge on one side, nylon scour pad on the other. The ultimate combination for cleaning ceramic fixtures, kitchen and bath surfaces. Yellow/green. 3.6w x 6.1d x 0.7h. 20 sponges per case.